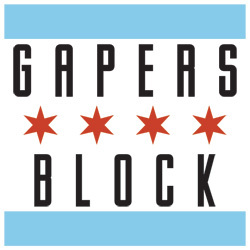 Usually, the Mainstage Theater is where you go for a quintessential Second City experience with the ensemble's "varsity team" of seasoned veterans. Currently, it's home to Panic on Cloud 9, a perfectly serviceable two hours of comedy. However, the best sketch show of 2015 is actually in the E.T.C. Theater, where the ostensible "JV team" is knocking it out of the park in their 39th revue, Soul Brother, Where Art Thou?. Directed by Anthony LeBlanc (America: All Better) and featuring a mix of newcomers and veterans of last year's revues, Soul Brother isn't afraid to tackle serious subject matter, from 9/11 to #BlackLivesMatter and Chicago issues like the battle between Rahm Emanuel and CPS. If that sounds like a tightrope routine, or maybe even a little exploitative, don't worry: this cast and crew perfectly mix searing insight with belly laughs. I'll be honest. I liked this show so much I saw it twice. Both crowds were as loud, joyful, and pleased as any I've ever seen at The Second City. There isn't a bad apple in the entire cast, from the veterans (the always magnetic Carisa Barreca, the versatile and subtle Eddie Mujica, and the wiry, Bill Hader-esque Tim Ryder) to the fresher faces (the clever Lisa Beasley, the soulful Rashawn Nadine Scott, and Paul Rudd's seemingly long-lost brother, Scott Morehead). It takes the ensemble a few sketches to build momentum, but once Scott Morehead's man-child "Chuckie" appears, scaring away his mother's potential suitors with threats and LSD, everything thereafter is comedic gold. The biggest laughs (and they were big) came during the show-stopping, interactive "I Will Follow You" musical segment, which I won't describe any further for fear of ruining the surprise. From the mundane, like bros having a quarterlife crisis or a Star Wars museum supporter showing up at City Hall to make his case in full Jedi regalia, to the meaningful, like blistering indictments of police behavior toward black men, the entire show is simultaneously hilarious, empowering, and heartfelt. It's easily among the best and most consistently funny revues I've seen at The Second City. Meanwhile at the Mainstage Theater, director Ryan Bernier's Cloud 9 features just as much talent, but not quite the same level of execution. Despite a few standout scenes and performances, on the whole it's a stiffer, slower-paced show than Soul Brother, with more dead space, less energy, and less innovation. A few of its more absurdist flourishes don't quite land, and one particular sketch by a campfire seems to go on indefinitely. But there are still plenty of laughs. Highlights include Batman's failed attempts to stop Chicago's epidemic of gun violence, and just about every sketch featuring John Hartman, who has absolutely mastered the reaction shot. A bit where Hartman plays a deaf student called into the principal's office is just as touching as it is funny. Elsewhere, Paul Jurewicz displays an impressive range, and Emily Walker competes with Hartman for the biggest crowd-pleasing one-liners. Qualms aside, Panic on Cloud 9 is still an entertaining way to spend an evening, particularly after a few drinks. 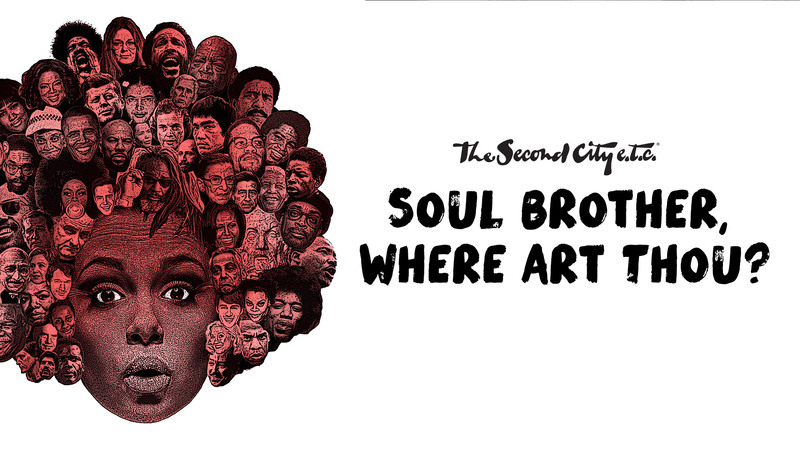 But if you've only got time for one trip to The Second City this summer, make it Soul Brother, Where Art Thou?. You might even go twice. Both shows run every night of the week (except for Mondays), with two showings on Fridays and Saturdays. Panic runs through Dec. 31; Soul Brother is an open run. Soul Brother, Where Art Thou? is in the E.T.C. Theater (enter Piper's Alley on North Avenue), while Panic on Cloud 9 is in the Mainstage Theater (enter on Wells Street). 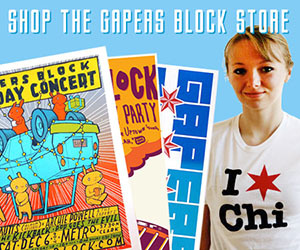 Tickets are $23-48 and are available online and at 1616 N. Wells St.